Your time and skills can help the park! We are nothing without volunteers - literally. 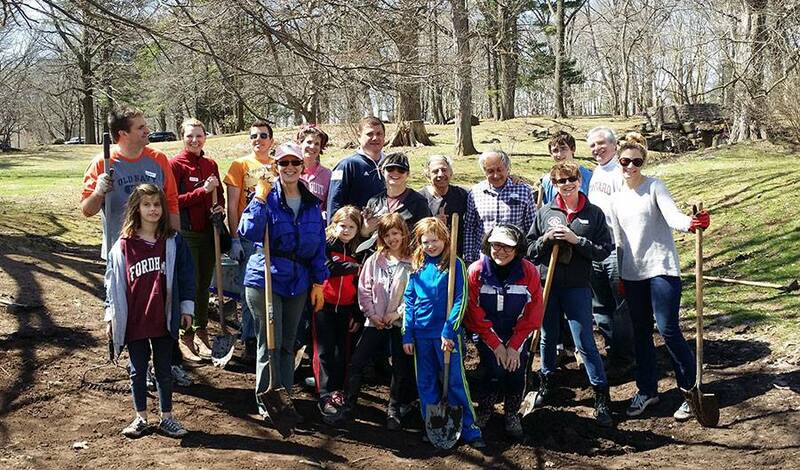 From our dedicated leadership to those in our community that wish to contribute just an hour or two each year, the success of the Conservancy depends on the generosity of people that voluntarily give their time for the betterment of the park. We welcome new volunteers throughout the year for all sorts of tasks as listed below. Wednesday Mornings - weather permitting - Former Rutgers Master Gardeners of Essex County President, Patricia Hewitt leads a team of 3-8 volunteers providing tree and shrub pruning throughout the park. New adult volunteers are welcome. No experience is necessary and training is provided. For more info, please reach out directly to hewitt36@verizon.net. Thursday Mornings - from March through October - Rose Garden Director and Conservancy board member, Susan Jankolovits leads a team of 5-10 volunteers that help prune, mulch and generally maintain the historic Essex County Rose Garden. New adult volunteers are welcome. No experience is necessary and training is provided. For more info, please reach out directly to sjankolovits@hotmail.com. Marketing Coordinator. Role potentially includes both email campaigns and social outreach. Working knowledge and experience with MailChimp and/or Facebook/Instragram is a plus. Ideally, candidate will have digital marketing experience and be able to develop and execute a simple calendar of monthly campaigns/posts that engage and inform the park-going community. Accounting Consultant. Seeking an experienced accountant to work with our Treasurer in a consulting role. Working knowledge of QuickBooks and Salesforce is a plus as well as non-profit bookkeeping experience. Featured Speaker Events Coordinator. Looking for a volunteer to lead the development and management of 4-6 events per year. Events will ideally take place once per month and partner with other local membership organizations to increase our shared community's awareness of park related topics. Volunteer Group Coordinator. Ideal candidate is a self-starter - well organized and a good communicator - looking to take on a leadership role for at least one year. Tasks include volunteer outreach prior to and after events as well as on-site management during activities. Past Conservancy volunteer group events have engaged groups ranging in size from 10-50 people and have taken place during work hours (corporate groups), after school on weekdays (youth groups) and weekends (college/church groups and open-call community workdays).